Animal Wildlife | Guinea Pig | The guinea pig is found in the Andes mountains in South America, were it is used as a stable food source for the local peoples. Todays domestic guinea pig is thought to be a subspecies of the Andes guinea pig and therefore cannot be found in the wild. The guinea pig is a small furry herbivore that rarely grows to more than 30cm in length. 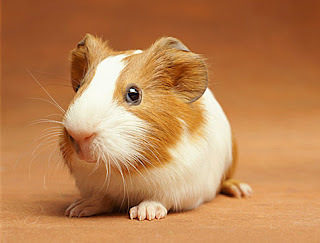 The domestic guinea pig can get to around 6 or 7 years old. A wild guinea pig would probably be about 3 or 4. 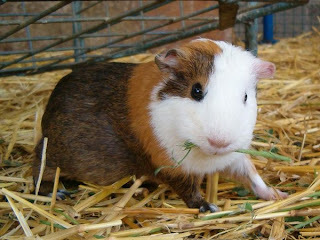 All around the world guinea pigs are kept as pets. If treated properly and given the right amount of time and energy, they can become extremely tame.They are a lot of effort and are far from being easy to take care of but they are well worth the effort. The guinea pig tends to communicate through a series of high pitched squeals. Apparently guinea pigs are unable to judge height and distances accurately and should therefore never be left on a bed or table without supervision. Guinea pigs were thought to have been domesticated and used in South America as a source of food from as early as 5,000 BC and the guinea pig was also often depicted in art and are seen in statues that are from the times of the ancient civilizations of Peru. In some instances the guinea pig is thought to be a supernatural medium and the guinea pig is therefore often used to heal the sick. 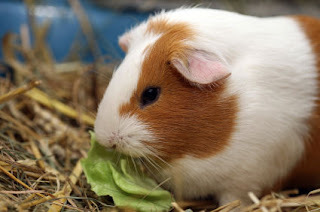 With the Spanish conquest of South America in the 1500s came the selective breeding of the guinea pig, which has resulted in the diverse variety of guinea pigs that are seen today. 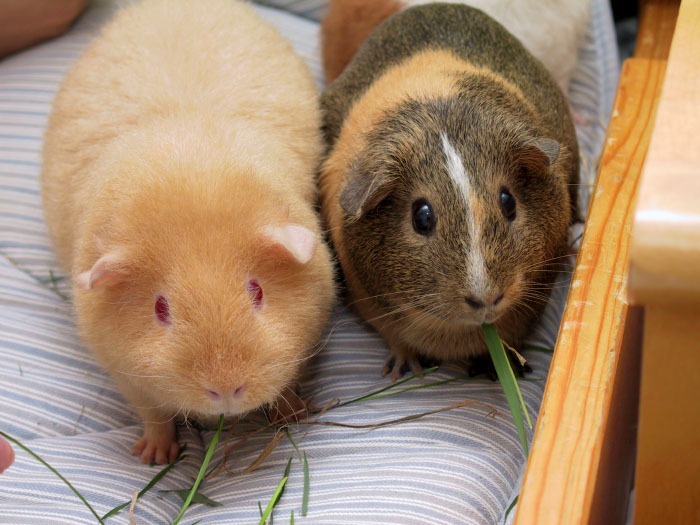 The domestic guinea pigs love to be with at least one other guinea pig, as guinea pigs are very sociable animals. 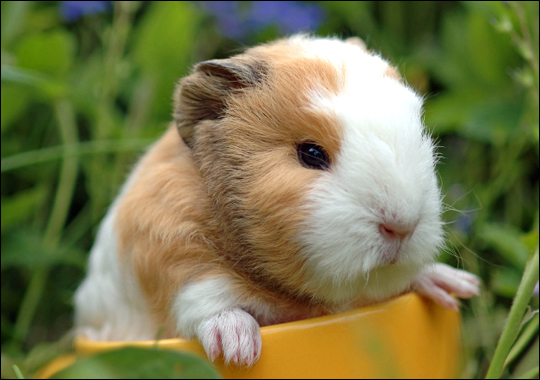 Guinea pigs are also highly territorial and pet owners often find the guinea pig acting strangely after its cage has been cleaned out. Commonly guinea pigs will urinate and will drag their body along the floor of their newly cleaned cage in order to remark their territory. Wild guinea pigs tend to eat grass and small plant matter as the main part of their diet and the continuously growing teeth of the guinea pig are well suited to such a diet. The wild guinea pig is also known to supplement its diet by eating its own feces, soft pellets that are specially produced by the guinea pig so that it can digest the vital nutrients contained within it. Domestic guinea pigs have a diet that is primarily made up from dried food pellets and the diet of the guinea pig is often bulked out by the guinea pig eating the hay (dried grass) that is put into the cage of the guinea pig, usually as bedding. 0 Response to "Guinea Pig"